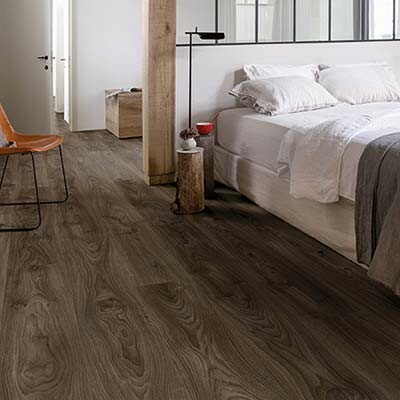 Wood plank Vinyl flooring is extremely popular as it is durable, versatile, waterproof and easy to care for. 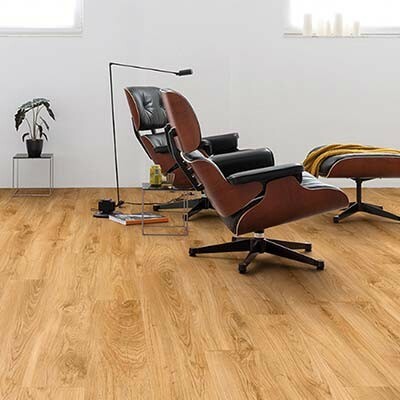 It is simply vinyl flooring that has been made to look like planks of wooden flooring. It is natural looking, available in a variety of different colours, tones and styles, and is very easy to install and maintain. 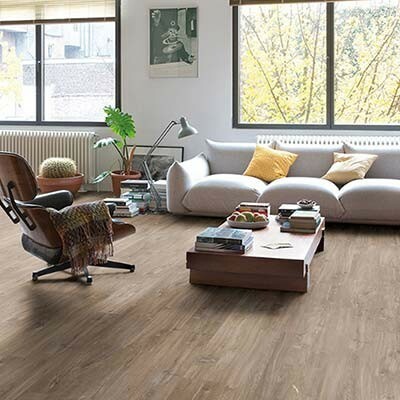 Why should I choose wood plank vinyl flooring? 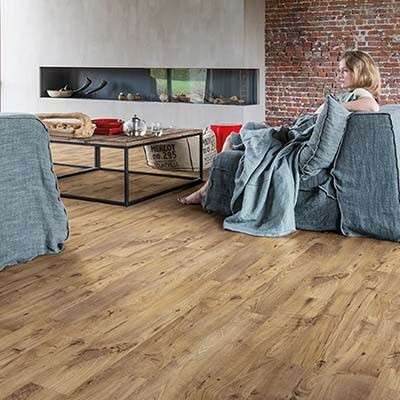 Wood plank flooring is probably one of the most popular types of vinyl flooring as it is a fantastic cost effective alternative to solid wood or engineered wood flooring. 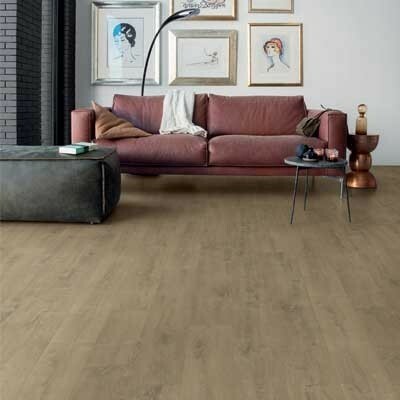 The manufacturer of the vinyl flooring, Quick-Step, is an extremely well-known and trustworthy brand with years of experience of producing laminate and vinyl flooring. 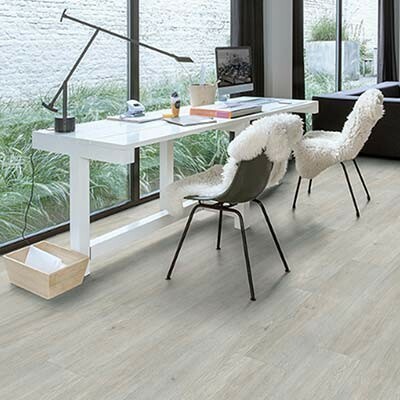 They work hard to create beautiful and natural looking vinyl flooring that is hardwearing, durable, waterproof and cost effective. All of the wood plank vinyl floors have a click fitting system that it easy use by simply dropping and clicking the horizontal and vertical sides together. The end result is a seamless and flawless looking floor. 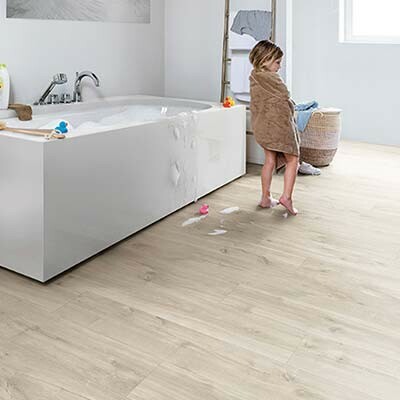 Another great advantage of Quick-Step vinyl floors is that they can be used with underfloor heating and can easily be used to cover a staircase. They are also 100% waterproof so can be used in rooms such as bathrooms, utility rooms and kitchens. When it comes to the care and maintenance of your vinyl floor, it is quite easy and straightforward by simply sweeping and cleaning on a regular basis. For further tips and assistance on how to clean and care for your vinyl floor, read our Flooring Care and Maintenance Guide. 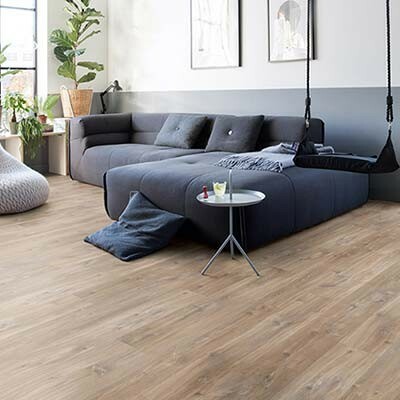 Wood plank vinyl flooring is available with different wood species effects with different tones, grain patterns, colours and styles, so there is sure to be something to suit your space, whether it be a country cottage or a contemporary studio apartment. Yes, we sell a range of flooring accessories that can add the finishing touches to your room or space. 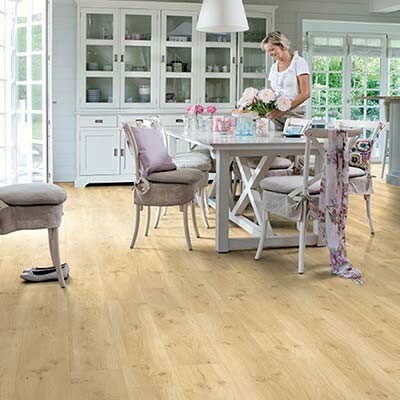 Once you have installed your vinyl flooring you will need to cover any gaps that may be evident around the perimeter of the room, in doorways or around pipes. All of these types of gaps can easily be covered over by using wooden flooring profiles such as beading, skirting, pipe covers and door bars. We stock a wide range of MDF flooring accessories, aluminium flooring accessories and also solid hardwood flooring accessories. 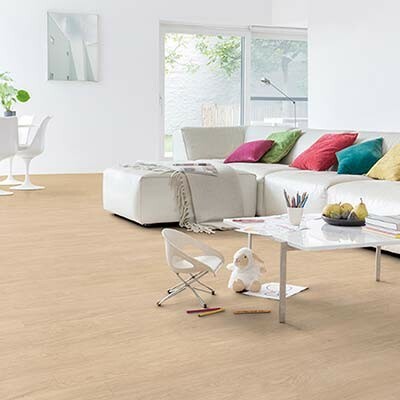 Yes, we sell different types of vinyl flooring too. 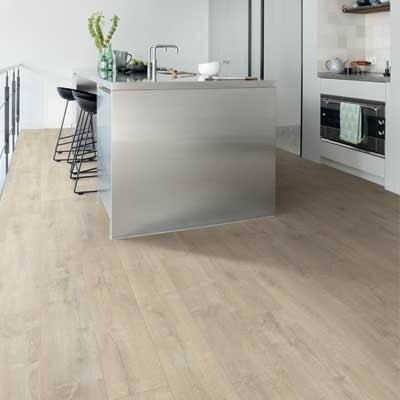 Have a look at our Tile and Stone range of vinyl flooring which includes effects such as ceramic tiles and slate. 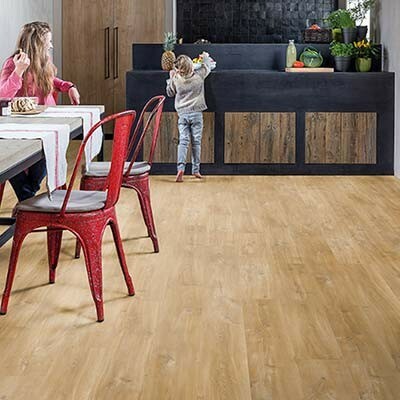 Alternatively if you are still unsure whether vinyl flooring is the correct choice for you, why not have a look at our ranges of solid wood flooring, engineered wood flooring and laminate flooring. If you require any further help or have any questions or queries about our vinyl flooring or other flooring products then please either contact us or come along to our showroom where one of our technically trained team will be more than happy to help.